The Book of Enoch is an ancient composition, thought to have existed centuries before the Common Era. It has been considered lost for over 2,000 years, with many ancient sources referring to it. It is believed that the Greek version was entirely translated and preserved in Gǝ‘ǝz. Consequently, this book was not known in Europe until James Bruce, the Scottish explorer, took the manuscripts of Enoch from Ethiopia to England in 1773. Currently, scholars in philology and history of Second Temple Judaism and the origins of Christianity are very much interested in studying the book of Enoch. 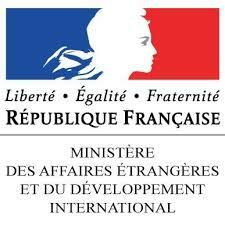 However, their primary objective is not to investigate the position of Enoch in Ethiopic literature but rather to enhance their knowledge of Jewish folklore and to seek information upon the religious ideas of Judaism, especially concerning the Messiah. Regarding this, Nickelsburg (2001, p. 162) stated that Ethiopic Enoch’s influence has been discussed only in relation to early Jewish texts and the literature of Western Christianity. Reed also wrote that “Other studies either have cited 1Enoch [Ethiopic Enoch] as the Jewish “background” to Christian traditions or have limited their analyses to inner-Jewish developments” (2005, pp. 8-9). It indicates that there is a very huge gap and untouched area of inquiries regarding the place of this book in Ethiopic literature, very little is studied as for the Ethiopian socio-religious context in which the text has been transmitted and used. Particularly its position in the poetic genres of Ethiopic literature is overlooked or do not receive much attention in most of the studies. This hinders the possibility of appreciating the influence of the book of Enoch. It indirectly limits our study of 1Enoch. The general objective of this research, therefore, was to explore the role of 1Enoch in the production of medieval Gǝ‘ǝz texts and investigating the themes of Enochic readings (both prose and poem) by analyzing words, lines, stanzas, and paragraphs of Enochic readings which might indicate the Ethiopian socio-religious context in which the book has been transmitted and used. 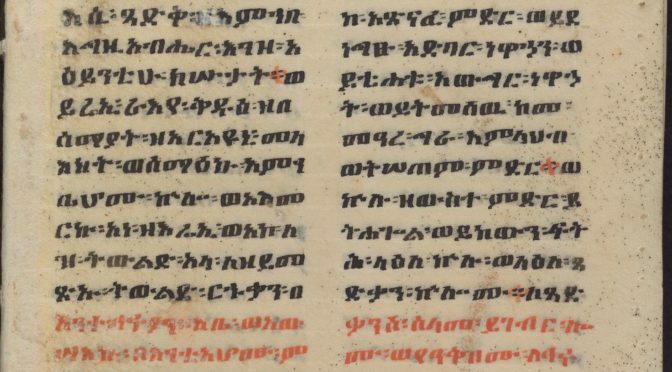 It was also intended to examine the interests of Ethiopian Church scholars towards Ethiopic Enoch in their Gǝ‘ǝz Qǝne. Hence, both prose and poetic manuscripts dated from 14th-18th centuries were consulted. In addition, various collections of Gǝ‘ǝz Qǝne were assessed for the search of Enochic Qǝne. Then, the collected data were transliterated and translated into English; and the quotations from Ethiopic Enoch explained in the light of the Book of Enoch accompanied by other liturgical and historical writings and annotated translations. Moreover, the Enochic poems were categorized according to their subject matter and discussed from different perspectives. The manuscripts consulted show that the Book of Enoch was frequently referred and used as a source of prose and poetic genres of Gǝ‘ǝz literature like in መጽሐፈ ምሥጢር (Mäṣәḥäfä Mәśțir; Call No. EMML 6456, date: 14th c.), መጽሐፈ ባሕርይ (Mäṣḥäfä Bahәrәy; Call No. EMML 1480, date: 16th c.), መጽሐፈ ብርሃን (Mäṣḥäfä Bәrhan; Call No. EMML 7001, date: 16th c.), መጽሐፈ ፀሐይ (Mäṣḥäfä ṩäḥäy; Call No. EMML 1389, date: unknown), መጽሐፈ ሰዓታ ዘመዓልት ወዘሌሊት (Horologium of the Day and the Night; Call No. 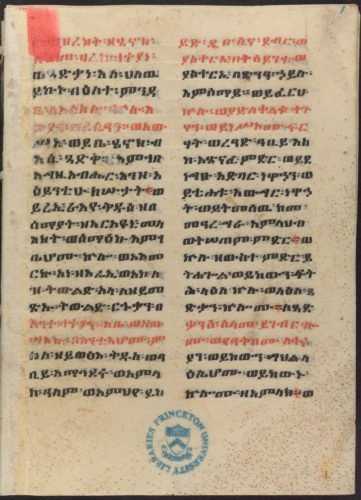 EMML 7020, date: 15th c.), ድርሳነ ኡራኤል (Homily of St Uriel; Call No. EMML 8818, date: 18th c.), መጽሐፈ ስንክሳር (Ethiopic Synaxarium; Call No. EMML 4273, date: 16th c.), አርኬ (’Ärke; Call No. EMML 3128, date: 16th c.), መልክአ ጉባኤ (Mälkkә’ä Gubae; Call No. EMML 8937, date: 17th c.) and Qǝne collections. In addition to various Enochic reading sections of each prose texts, 73 Enochic poems and 13 Enochic Qǝneyat were explored in this study. Using the hermeneutical approach of textual analysis, the Enochic poems were analyzed from different point of views such as theological, philological, historical, cosmological, moral, and other aesthetic qualities. The study, in general, showed that the contents of book of Enoch were repeatedly referred and used as a source of prose and poetic genres of Gǝ‘ǝz literature. The philological analysis of the poems revealed that there are some reading variations like banalization (substitution), transposition, addition, and omission among the poems recorded in different manuscripts. Furthermore, the Enochic Gǝ‘ǝz Qǝneyat of this study colorfully demonstrate to what degree the Ethiopian Orthodox Tewahido Church Qǝne masters had/still have respect to look after the Book of Enoch. and its appearance of building is lighter than sunlight. to be protected from every danger. The central idea in the above poem is related to St. Mary, the mother of Jesus Christ. She is signified by the house of Enoch the prophet that was set up in the land of pleasant with a beautiful and great work. In order to compose this poem, the poet made allusion from Ethiopic Enoch (En90:20-29). In his vision Enoch said, “[…] I looked until a throne was set up in the pleasant land and the Lord of the sheep sat on it […] I also looked a large, high and new house […] and all its pillars were new […] and its ornaments (were) new; and the Lord of the sheep was in the middle of it […]” This is the house of Enoch that the poet used to signify St Mary who is the perfect house and throne of God, the Lord of the sheep. Now, a careful examination of the nouns like house, land, throne, pillars, etc. and adjectives such as large, high, new is very important in order to explore Mariology depicted in this Enochic poem. From Biblical point of view, a house denotes the body of human being; for instances, when Jesus Christ said: “Destroy this temple, and in three days, I will raise it up” (Jn 2:19), He was speaking of the temple of His body. Similarly, when the prophet Isaiah came to King Hezekiah and said: “Set your house in order; for you shall die, and not live” (2Kgs 20:1), the prophet was advising the king to repent and purify his body from sin. Similarly, Enoch’s house in the poem signifies St. Mary and her personality. According to Enoch’s expression, the house is large and high; St. Mary in her holiness and cleanliness is also larger and higher than any creature . Moreover, the newness of the house and the expressions depicted in the second line of the poem as “በምድር ሐዋዝ ሥነ ሕንፄሃ ዐባይ” leads us to contemplate and visualize that “the land of pleasant wherein the foundation of the new house set can refer, in my understanding, that the blessed and pleasant womb of Anne , Mary’s mother, wherein the immaculate conception of Mary took place. The throne, whereas, the Lord of the sheep sat on it, can be understood as the womb of the Virgin Mary that became the perfect throne of our Lord Jesus Christ. Above and beyond, the third line of the above stanza: “ወሥነ ሡራሬሃ ያበርህ እምሥነ ፀሐይ” (Lit. : « And the appearance of its building is lighter than sunlight ») precisely signifies the uncorrupted nature of the Virgin Mary . In addition, the greatness of the appearance of the building, being compared with the sunlight, testifies that the perfect holiness and glory of Mary than any other saints, for the sun is a symbol of saints. When we come to the last two lines of the above stanza, we read two basic Marian concepts: her assumption and intercession. Regarding the first the composer says: “ፈለሰት ይእዜ ከብካበ ሰማይ” (Lit. : « In this day, she is transferred into heavenly bride-chamber »). This line clearly states not only the assumption of Mary but also the place where she has rested. At her Assumption, she is said to enter ‘into heavenly glory’ Hence, the phrase: “ከብካበ ሰማይ” (bride–chamber) directs and elevates our mind to realize the joyful and glorified position of the bride of God the Father, the Mother of God the Son and the Dwelling of the Holy Spirit. Lastly, asking favors from Mary and seeking protection from her, the poet wraps up his stanza praying as: “ተማኅፀነ ባቲ እምኵሉ እኩይ” (Lit. : « We beseech her to protect us from every hazard »). This study is an original contribution to our knowledge of the Book of Ethiopic Enoch and Enochic Gǝ‘ǝz texts. The present findings can help the readers to adjust their latitude of thinking knowing the fact that the presence of Ethiopic Book of Enoch in the Gǝ‘ǝz literature doesn’t have to do with idolatry and magical practice. Rather, in the post-Enochic literature we find the manifestation of refined theological points of view about Trinity, Christology and Mariology. This research makes clear that the survival of the Book of Enoch in the Gǝ‘ǝz literary tradition is a question of reception. The reception-history of the Book of Enoch on some selected prose and poetic Gǝ‘ǝz texts has succeeded in pointing to some potential gains both for our knowledge about the role of this book in composing Ethiopic liturgical texts (such as Mäṣḥäfä Sä‘atat) and for our understanding of the Ethiopian socio-religious context in which the text has been transmitted, heard, and read. St. Ephrem, in the hymn of praise for the first and sixth days of the week (Sunday and Friday) proclaims like, “(Mary), you are greater than the high-priests, and you are more honorable than the prophets; you have majesty of appearance which is greater than the majesty of the Seraphim and Cherubim…”, and also, “You are blessed! You are greater than heaven (hosts of angels)! You are more glorious than earth (sons of Adam)! And you are exalted above the conception of every mind…!”. Praising St. Anne and presenting her symbolically is common in the works of Ethiopian Church scholars; for example, Abba Stige Dingel in his poem says, “ትመስል እምኪ ማርያም ዕለተ ሳልስተ ወራብዕተ፤ ዘወለደት ፅጌ ወጸሐየ ዓለም ብርህተ፡፡ ካዕበ ትመስል ሳብዕተ ዕለተ፤ እስመ ፈረየት ኪያኪ ተዐምረ ግእዛን ሰንበተ፡፡ ለዕለ በሰማይ ወምድር ዘኮንኪ ዕረፍተ (Lit. Mary, your mother resembles the third and fourth days (of the creation) that bare the flower and the bright sun of the world. Again, she also resembles the seventh day for she has born you-a mark for the liberating Sabbath, and (you) a resting place both in heaven and earth). Nickelsburg, G. (2001). A Commentary on the Book of 1Enoch: Chapters 1-36; 81-108 (Vol. 1). Minneapolis: Fortress Press. Reed, Y. (2005). Fallen Angels and the History of Judaism and Christianity: The Reception of Enochic Literature. New York: Cambridge University Press. መጽሐፈ ሔኖክ (አንድማታ). (2003 ዓ.ም.). አዲስ አበባ: ትንሣኤ ማሳተሚያ ድርጅት. ሠናይ ምስክ (አባ). (1999 ዓ.ም). መጽሐፈ አክሲማሮስ ዘስድሰቱ ዕለታት. ውዳሴ ማርያም ንባቡና ትርጓሜው. (1983 ዓ.ም.). አዲስ አበባ: ትንሣኤ ማሳተሚያ ድርጅት. ያሬድ (ቅዱስ). (1998 ዓ.ም.). መጽሐፈ ድጓ. አዲስ አበባ: ንግድ ማተሚያ ድርጅት ትንሣኤ አሳታሚ.